From determining marketing campaign strategy and planning to understanding how Search Engines update their algorithms, making the perfect marketing and PR decisions for your company can often be a challenge. Marketing is more than just advertising, it includes diverse disciplines like sales, public relations, pricing, packaging, promotion, and distribution. At ALR Marketing Solutions we are always happy to answer any questions you may have about our specific marketing solutions and offerings. 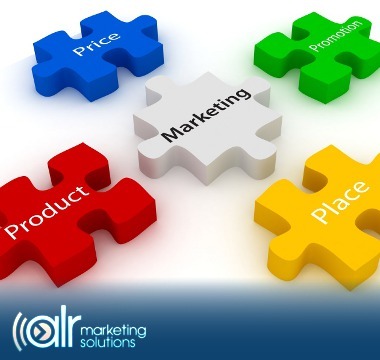 At ALR Marketing Solutions, our passion is marketing! We are a results driven Atlanta Marketing Agency that provides customized services to meet our clients business goals. We invite you to review a marketing campaign Case Study from one of our clients. At ALR Marketing Solutions we always strive to achieve our client's short-term needs and long-term business goals through our superior marketing practices. If a client does not need something, we will not recommend it. Our marketing consultants will work with your budget to find the best and most cost effective solutions to generate the greatest return on investment to your company. Also, be sure to request a FREE Traffic Tracker Report and learn how SEO can help your site to be found online. Click here to schedule your FREE Marketing Solutions Consultation today! Our Resource Room is here to help equip you with the knowledge you need to better understand our various marketing services and how ALR Marketing Solutions can help grow your business and increase your revenue. We always have a lot going on, so feel free to stop by often to hear the latest about what's new with us, or click to read our newest blog post and marketing articles.